Old Beechworth Gaol has benefited from a one day, bespoke capacity building of staff development through EXPLORE Sense Check. They were provided with fresh perspectives and experience to spot new business opportunities, problem solve & prioritise an action plan. "Thanks Claire for a great day yesterday – feeling absolutely energised and there really were some great ideas shared around the team." Beechworth is a small rural town with a population of 4000, in NE Victoria, Australia, 3.5 hours form Melbourne. Beechworth has a growing local tourism economy because of its heritage architecture, natural beauty, colourful-history (gold, outlaws), food growing & production and vineyards. However most people rely on the nearby larger centres for employment opportunities. There is significant youth and young adult underemployment and unemployment as a result of the seasonal nature of tourism and its highly casualised employment needs. Many people are forced to leave the community in search of career opportunities and ACRE wants to address this issue by supporting entrepreneurship in Beechworth and attracting international tourists to the area. The Australian Centre for Rural Entrepreneurship (a non-profit organisation) has secured the largest community asset buy-back in Australian history, raising $AUS2.7M to secure the town’s old gaol l which closed down in the mid 1990’s. ACRE see quality coworking as critical to the successful future activation of the Old Beechworth Gaol site - as a way to engage local businesses and entrepreneurs, as well as attract and retain young people, new people/families and new businesses to the region. They aim to combine great lifestyle, cycling, community, food, wine, and beautiful landscapes with a great place to bring your business and grow a young family. These extensive and highly unusual buildings and grounds will be home to a thriving multi-purpose hub to support local business and tourism activities, including 3 coworking spaces (shared services offices, kitchen and maker-spaces), visitor attractions (Ned Kelly - famous historical outlaw), indoor and outdoor retail spaces, events spaces and cafes. What is ‘Quality Coworking’? How and why it works. Outlining key elements for success. Site tour and advice on short/medium and long term opportunities. Understanding and defining their staffing model - who will be doing what to deliver this business? Critical experience, skills, qualities, aptitudes. Planning the critical stages, activities and processes needed to open. Post-opening, how do they actually deliver their services? Marketing strategies, messages, methods, customer segment analysis and outreach. Attracting and retaining the right customers. Identifying key risks and mitigation strategies. Core concepts of quality coworking - using the Coworking Canvas for ongoing staff training and influencing stakeholders. 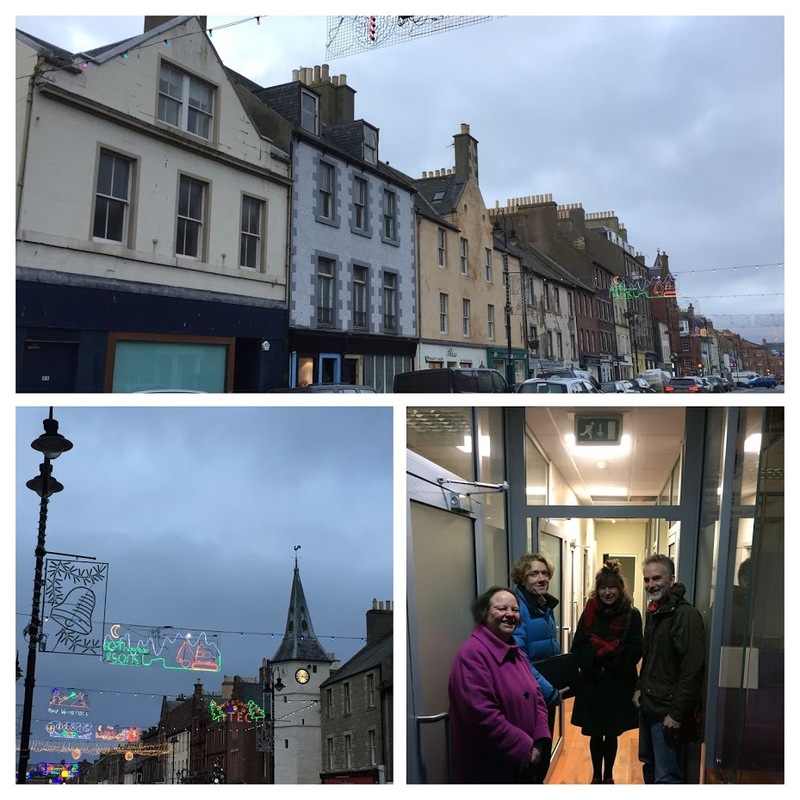 Forres Area Community Trust have benefited from Coworking Consultations and attendance on EXPLORE Quality Coworking – a specialist capacity building course providing structured guidance, knowledge and experience for leaders of emerging quality coworking businesses. 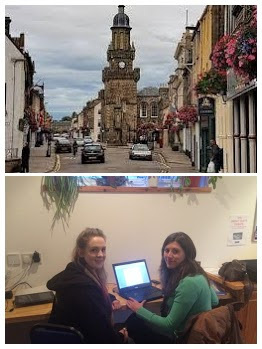 The support we have received from Claire and her team over the last two years has enabled us to develop and consolidate our ideas around coworking into our plans for our move into Forres Town Hall. Forres area is based within Moray on the northeast coast of Scotland. It has a population of c 15,000. This traditional Scottish rural town has a very diverse community with many people moving here to enjoy the mild climate, relaxed pace of life and opportunities for development. There is a vibrant social enterprise scene, award winning locations, businesses and charities, with over 200 groups that range in size from small charities with one or two employees, scaling upwards to include the internationally renowned Findhorn Foundation which has over 100 employees servicing the spiritual community/ecovillage/learning centre. Forres Area Community Trust is a Development Trust with long term plans to make the Forres area a better place to live, work and visit. Formed in September 2011 to benefit the community of the Forres Academy catchment area, the organisation is led and managed by a volunteer board of 9 local people. Started in 2011 they now have a thriving membership of over 280 local people. They work in partnership with a range of local agencies and organisations to deliver projects and services to benefit the community. During a recent community consultation it was clearly identified that there was a need to increase the resilience of the town centre, improve services for social enterprise and increase accessibility to facilities such as meeting rooms, administration, venues and affordable work-based accommodation. FACT’s mission is to “Create a better place to live, work and visit”. With this in mind, they are working to revitalise the local Town Hall to become a centre for social enterprise, creatively using the space available in the most practical way. The Explore Coworking Event in June last year  was particularly useful as it enabled us to meet with other organisations that are following a similar path and learn from their experience too. The founders of Sustaining Dunbar have so far received over 12 months of ongoing support and capacity building of their staff team through our EXPLORE Scoping Support. They have been provided with guidance, knowledge and experience, and support in shaping their future opportunities. 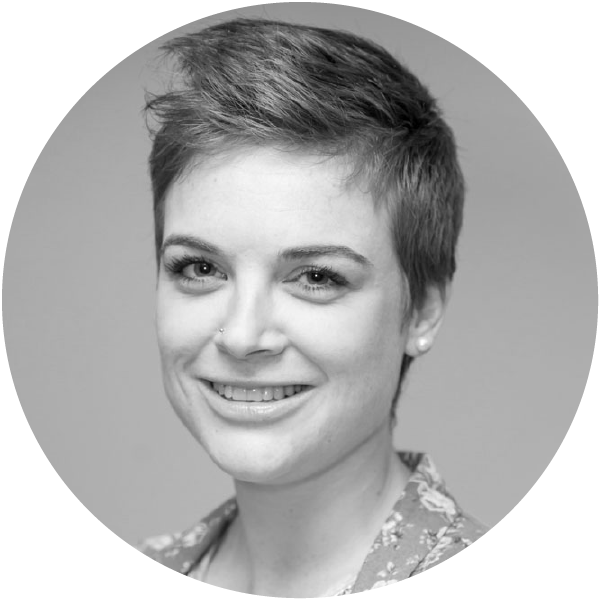 "The Coworking Accelerator Network has been invaluable to the ongoing development of our project. Their specialist knowledge and real expertise has enabled us to progress faster and with significantly greater confidence than if we had been working alone. 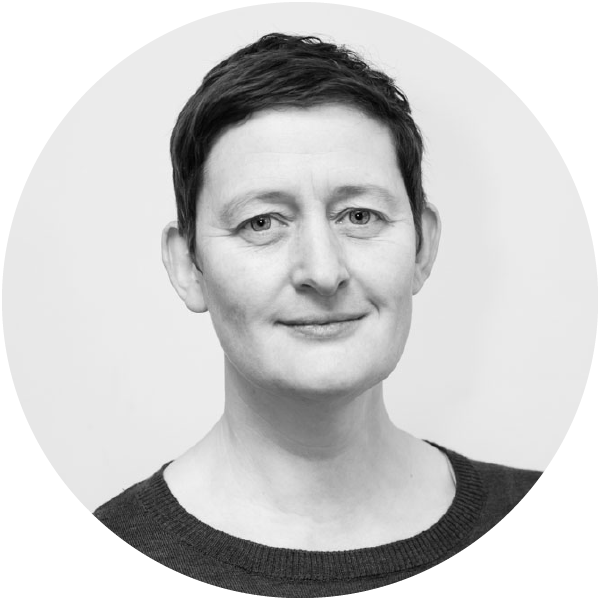 Claire’s incisive, 'no nonsense' approach has focused us again and again on what really matters if the venture is to succeed." The town of Dunbar has a population of around 8,500 people, growing rapidly with a number of housing developments in the area. Many people work in Edinburgh, 28 miles to the west. Historically a fishing port, the town retains some tourism activity and larger local employers include Tarmac, a cement works; and Torness, a nuclear power station. The town is mixed in terms of demographics with is a particularly wide range of people, housing and activities. There is a mix of professional and non-professional jobs, and part-time and self-employment are both important for a significant proportion of residents. Dunbar retains a clear and proud identity as an independent Scottish town, with a wide range of community groups. Sustaining Dunbar is a Community Development Trust serving Dunbar, East Linton and several villages in the surrounding area. Since 2008 Sustaining Dunbar has been bringing people together to support new initiatives which create local jobs, help people cut their fuel bills and grow more food. Sustaining Dunbar also helps to get independent local projects up and running, and has helped establish Dunbar’s community bakery, East Lothian’s car club, and Miixer, a social enterprise diverting waste from landfill. Drawing on a survey of 1,500 residents, in 2011 Sustaining Dunbar published a Local Resilience Action Plan, a draft vision and action plan for starting to build a resilient, low carbon community in Dunbar and the district up to 2025. Among other priorities, this identified the importance of creating workspace and developing the local economy. A part of this vision, Sustaining Dunbar is now undertaking market research and a feasibility study to explore the potential of a quality coworking space in Dunbar. To reduce the need to commute into Edinburgh, with benefits of personal wellbeing, family life and the environment. 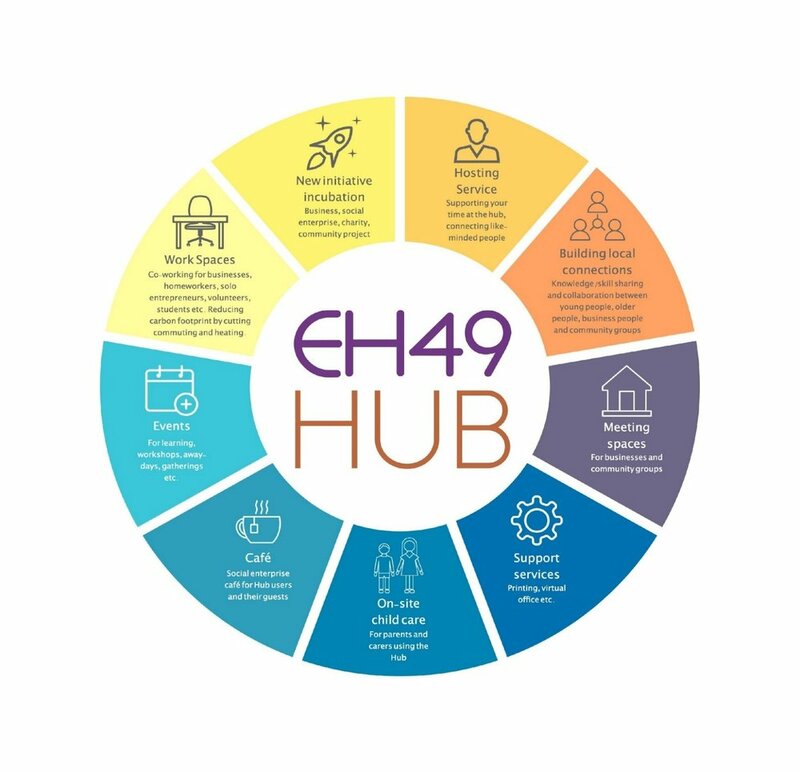 Imagine a place in Dunbar or nearby, where startups, businesses, artists, social enterprises, artisans, community groups and others can work, connect and develop. We believe a place like this will help make Dunbar and the area a better place for everyone to live and work. It will help the people and organisations using the space to thrive. It will bring more life to the town, supporting other local businesses, and enabling more people to be involved in local groups and activities. The objective is to create a mix of hot desking, private offices, meeting rooms and artists’ studios over three floors in the heart of Dunbar. EXPLORE Scoping Support has supported Sustaining Dunbar from late 2017, bringing specialist knowledge and insight to the project.